Internet of Things (IoT) has certainly changed the way we live our life. From home to office and street, today there is innovation in every step of life. 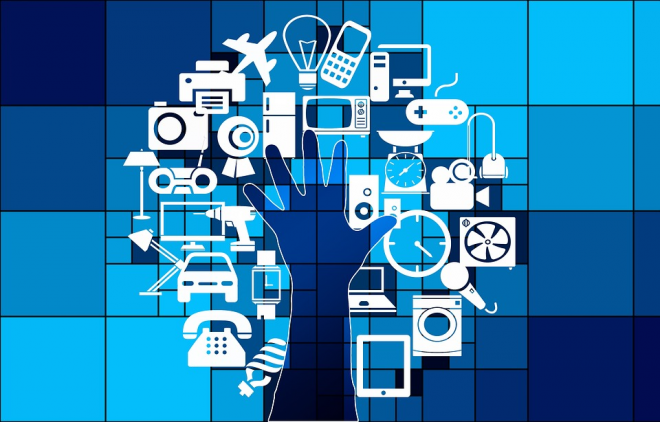 Internet of Things is transforming the quality of life and certainly enhanced the standard of living. Whether you are a homeowner looking for products to make your home innovative, or entrepreneur to take your business to a new level, implementing IoT will certainly change the way we look through our lives as it makes work effortless, smart and easy. There are many entry-level IoT products that are really amazing in terms of features. From finding keys to turning on and off the lights, there are different product innovations available in the market today that are available at pocket-friendly prices by using vouchers from By discount Codes. These sophisticated smart door locks can be used for both home and business. It features proximity sensors like Bluetooth and NFC enabling the door to lock or unlock. It can be connected to a smartphone for use. This has certainly changed the way we lock or unlock the door. There are many companies which are actively offering smart door lock devices having IoT features. Some of these devices are- August, August Smart Lock 3rd Generation, Friday Smart Lock, etc. If you want to have a tool that gives you proximity alerts and locates your lost items then get this wireless key locator which can be integrated with your Smartphone. Sometimes, it is difficult to find or locate items like keys, ac and TV remotes. Now with the location sensors attached to these stuff, you can now easily find your items. These locators use short-range signals like Bluetooth to your smartphone. You get alert, and you will be guided to the item. There are also similar devices having features like GPS and independent cellular data connection that helps to find your lost gadget. You can now remotely monitor and control cooking devices and appliances using a smartphone app. The kitchen is the most important part of the home, now IoT has made it possible to create smart kitchen gadgets. With the use of sensors, you can now know when the stove was left on and when to slow down. This new age smart kitchen is certainly the best innovation. Some of the smart devices are- Amazon Dash, Hiku, GeniCan and few others. Want to get assistance by connecting items to product apps? Then make use of a single app that can manage all items to connected devices. Some of the smart home apps that have IoT features are- Gideon, Stringify, Thington, Yonomi, and many others. Each of this app is finely designed to give you the best smart home experience. To conclude, when life is busy and multitasking is the only way IoT brings comfort and management in life. Now anyone can control their personal or professional space within clicks and work without worrying about a stove left on back home or a lost car key while going to work.